Here we have listed all the competitions currently running in New Zealand where you can win an iPad. Each competition is different so make sure you enter them all to have the best chance of winning. The iPad is the perfect compromise between portability and power. It allows you to check your email, use social media websites, watch videos, read eBooks and listen to music on a high resolution screen, and yet is still small enough to be easy to carry around with you. If you don’t already own an iPad, then you are missing out on some great games and apps. The one downside of the iPad is that it is a fairly expensive device. There are several different models of iPad from which to choose, ranging from the affordable and diminutive iPad Mini to the powerful, high capacity iPad Air which features a stunning Retina display and a high resolution camera. However, even the iPad Mini can be a difficult purchase to justify, especially at this time of year. If you can’t find room in your budget to buy gadgets these days, why not try to win an iPad? There are lots of websites offering competitions with iPads as prizes, and many of those sites allow you to enter their contests for free. It only takes a minute or two to fill out the entry form, and if you’re lucky you could end up with a high capacity iPad Air with WiFi and Cellular connectivity! Don’t make the mistake of assuming that entering competitions is a waste of time. Many people love to lament how they “never win anything”, but when you ask them how many competitions they entered last year they confess that they don’t really bother with competitions. The number of people entering competitions to win an iPad is far lower than you might expect, and entry figures drop off even more for competitions that require a little effort. If you are willing to take the time to write a poem or answer a difficult question or two then you have a good chance of winning. While you are trying to win yourself a new gadget, you should choose the competitions that you enter carefully. 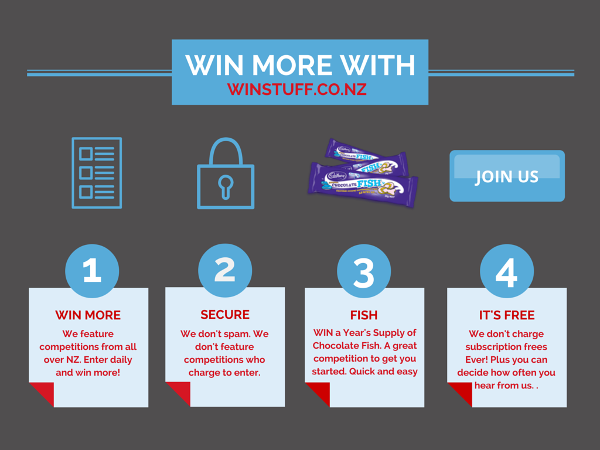 Sites such as WinStuff offer listings of competitions that you can use as a starting point, but you should always be on the lookout for other contests to enter, especially competitions on less well-known websites. Beware of scammers, however. If a website asks you to sign up for a free trial, enter your credit card details or disclose personal information that you do not feel is relevant to the contest, then you should avoid it. Most competitions are legitimate, but there are some scammers that use contests to collect data to sell on, or to use for identity theft. Competitions for highly desirable gadgets such as iPads are commonly used because they attract a bigger audience than more niche products. If you’re unsure whether a competition is legitimate or not, you can always ask for thoughts from other competition enthusiasts using a forum. Your fellow competition enthusiasts will be happy to give you feedback as to whether the competition you are looking at is too good to be true or not.